My grandmothers cooked beautiful meals in simple kitchens; white Formica countertops, stainless steel sinks and electric-eye stoves provided the setting. Their pine cabinets held a basic collection of pots and other tools they used to pull off unforgettable Sunday dinners and holiday meals with ease. It all starts with those essential pans; knowing what you need and how to keep them clean calms the cook and makes any kitchen charming. A well-kept kitchen doesn’t have to be fancy, nor do the pots in it. Consider how you like to cook and what you tend to make. If you cook in certain pans frequently, then it is nice to splurge (maybe your birthday or Christmas?) and get a few expensive pots. Baking sheets, cake pans, and cupcake tins can be simple, but used for many years. You might try the restaurant supply stores for some heavy-duty ones if you tend to bake often. Your local kitchen shops carry the latest designs and provide wonderful inspiration, while hardware stores are good spots to pick up cast-iron skillets, and thrift shops are a treasure trove for vintage bakeware pieces. When choosing pots and pans, remember that thick pots heat evenly and cook food slower so it doesn’t burn. That is why cast iron, aluminum or steel (sometimes with copper coating) or solid copper pieces are used by professional chefs. Steel pans and cast-iron skillets are good because they can go from stovetop to oven. They are ovenproof as long as they do not have plastic knobs or handles. This helps limit the number of pans you need for a well-equipped kitchen. Too many pots and pans make it harder to keep your kitchen efficient and organized. Having a lot of pans often creates a big pile of dirty dishes that need handwashing at the end of the meal. In order to limit this, think of your lifestyle and how you cook and entertain. It is wise to buy a few expensive pieces of cookware for everyday use, and save on those pans or odd pieces that you use only once a year. Another essential aspect of good cookware is keeping it clean and well maintained. It isn’t hard; you just need to know a few tricks. 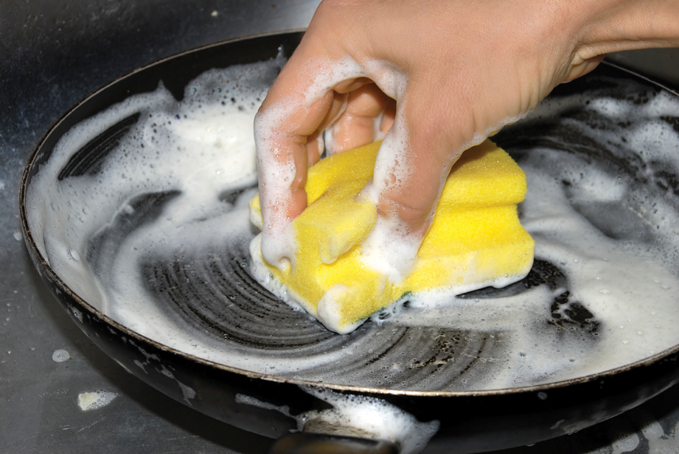 Baking soda works well to scrub off burned spots of food left on pans that are made of steel, aluminum or copper. Make a paste with a little water, vinegar or hydrogen peroxide, and scrub. 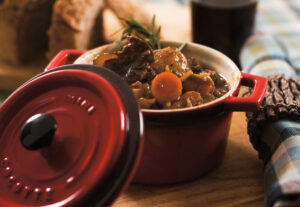 Enamel pots do well with this mixture to clean off brown stains left by cooking. For non-stick skillets and pans, use a degreasing agent like Dawn dish detergent to clean off leftover food. Cast-iron pieces need rinsing with very hot water (do not use soap) until the food residue washes away. Keep them in good shape by rubbing a teaspoon of oil on them and wiping dry with a paper towel. Special cleaners for enamel and copper pots are sold in home goods stores. Hand-washing and drying your pots and pans is the best way to ensure they last a lifetime and keep sparkling. When cooking oil or baking spray builds up on cookie sheets or cake pans, set them on the counter and sprinkle layers of hydrogen peroxide and baking soda until it covers this burnt-oil residue. Let them sit for a few hours and try scrubbing a spot. If they come clean easily, then scrub them clean and dry them with a cotton dishtowel. If some baked-on oil remains, put on another batch of this natural cleaner and leave it overnight. Your pans will look brand new. Once your kitchen pans are clean, and you’ve taken stock of what you have and what you need, it is time to make a list of pieces you would like to add to your collection. Which pots do you want to make cooking more efficient and fun? If you have the essential pieces, what might you like to try—such as a wok or a special grill pan? Do you have a family recipe you would like to make a tradition in your home? Cast-iron Dutch ovens and skillets are a great investment. You can purchase cast iron with an enamel-coated interior for easier upkeep. They literally last forever and are the best for cooking almost anything. A Dutch oven roasts the crispest whole chicken or duck and can be used to make soups, stews and casseroles. An iron skillet is great for cornbread, rustic breads, and pies as well as making pancakes and eggs on the stove top. Baking in an iron skillet yields the crispest crust. Breads and pies benefit from the slow, hot heat. Sautéing spinach, roasting vegetables, and baking meats in cast-iron produces meals rich in flavor and gives the food the benefit of added iron. A well-kept kitchen is a happy place for family and friends to gather. 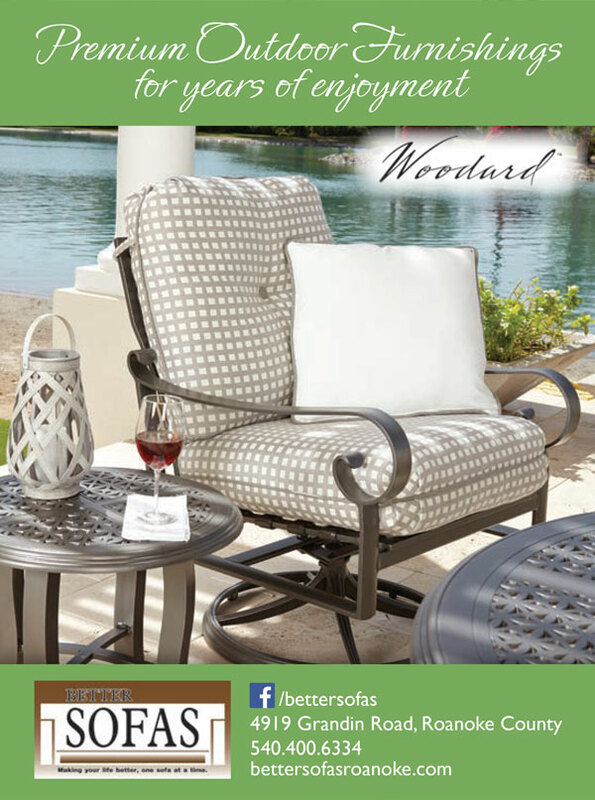 If it is stocked with the basics and a few items that make it your own, it will always be the heart of your home. 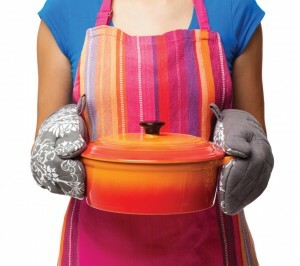 Investing in the right cookware and keeping it in great shape makes it an inviting place to be. Take stock of yours today! The holidays are upon us and you will be eager to make those special meals if everything is in order.